When an employee takes a “leave of absence," this time away from work can take many forms depending on the situation. From the Family & Medical Leave to Short Term Disability to jury duty to bereavement to military leave, these various policies and structures do share the common purpose of allowing an employee to take time away from work above and beyond vacation time or sick days, while also protecting the employer from potential abuses of these leave requests. Ultimately, assuming that the employee meets and abides by all of the necessary requirements during the agreed upon leave of absence, the goal for both parties is that their job (or at least a similar position) will be waiting when they are ready and able to return to the workforce. But as is often the case in the world of Human Resources, the application of these laws and policies to the real life situations encountered in the workplace is less than clear cut. Even if one of these more standard leaves of absence fail to meet your needs as the employer or the needs of your employees, there are alternative employer specific policies that can also be explored. Each leave of absence policy is unique. As shown in Figure 1 below, the vast majority of employers both locally and nationally offer a basic set of more traditional leave options. 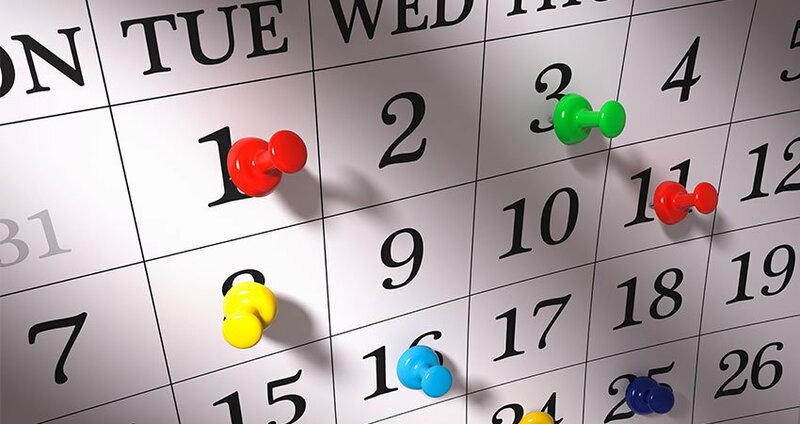 These policies are typically in place for all employee groups across the organization, both exempt and non-exempt, although in some cases part-time employees will not qualify for certain types of leave if they fail to meet minimum standards for hours worked during a specified time period. This variation from employer to employer illustrates a key point about leave of absence policies: even for the leave of absence policies that are mandated by law, each employer has a certain amount of discretion when it comes to implementation at their organization. Another example of the variance from employer to employer in the policies that are not mandated by law is that they do not have to provide employees with any “guarantee” of a position at the end of their leave, even if this was the intention when the leave began. On the other end of the spectrum, namely FMLA and jury duty, there are state and/or federal laws on the books that spell out very specific parameters for administering these types of leave and they typically do require job reinstatement upon an employee’s return to work. Other considerations for organizations looking to craft leave of absence policies may include the amount of pay provided (or not provided) during leave, the time allotted, or other standards that to guide the administration and implementation of leaves of absence. Simply having these written down in an employee handbook is a big step towards a more effective and non-confrontational leave of absence process, but keep in mind that having these standards spelled out in black and white is only the beginning. And so is each employee’s leave of absence. By their very nature, “leaves of absence” are challenging: an employee is experiencing something in their lives that makes it difficult or even impossible to continue with their day to day duties at work and as a result, you the employer, are down a set of hands for some unusual length of time. Whether it is the medical needs being experienced by the employee, or the personal circumstances that precipitated the leave of absence, each employer’s policy is bound to experience some extenuating set of circumstances during its life cycle. 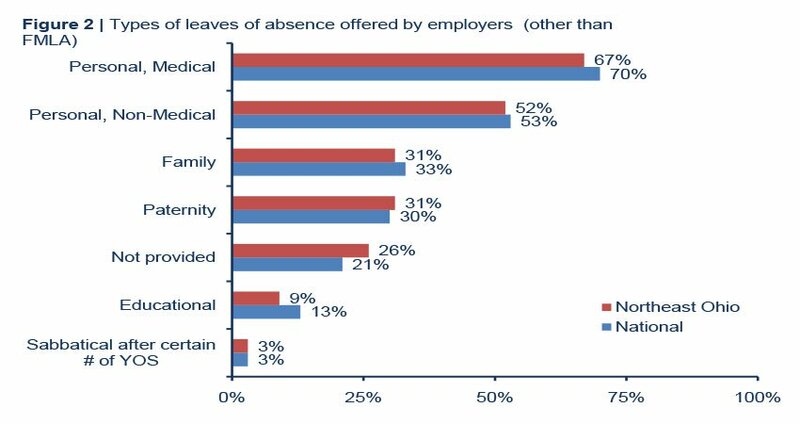 For this reason, many employers also offer a number of alternative types of leaves of absence that can allow for a bit more flexibility (see Figure 2). Maybe your organization is smaller than the 50 employee threshold required for FMLA to kick in, but you want to be sure you still offer new-moms the same 12 weeks as your competition for maternity leave? Consider a family leave policy or a personal medical leave policy that spells out that time frame. Perhaps your industry is exceptionally specialized and you have some top performers that could really push your organization to the next level if they had the right certifications? Although it’s somewhat unusual for longer periods of time, giving employees some time off to pursue additional education could be an excellent investment in the long run. Or, as has been quite popular in the media in 2015, if you are looking to set your organization apart to Millennials in particular, offering new dads time off on top of their usual PTO could be just the extra little perk they needed to accept a position with your organization. Ultimately, if leveraged and applied appropriately leaves of absence can be much more than a complicated set of legal rules and policies in a handbook that sit on the shelf until an emergency comes up and someone needs to take leave. Instead, they can actually be a powerful tool designed to address the unique needs of both your individual employees as well as your organization with positive outcomes for everyone involved. Compare your policies and benefits to other companies. Access ERC's Policies & Benefits Survey to benchmark your company.